With the FinTech industry booming with new and innovative ways to bank, Citibank saw the opportunity to reinvent the future of banking. 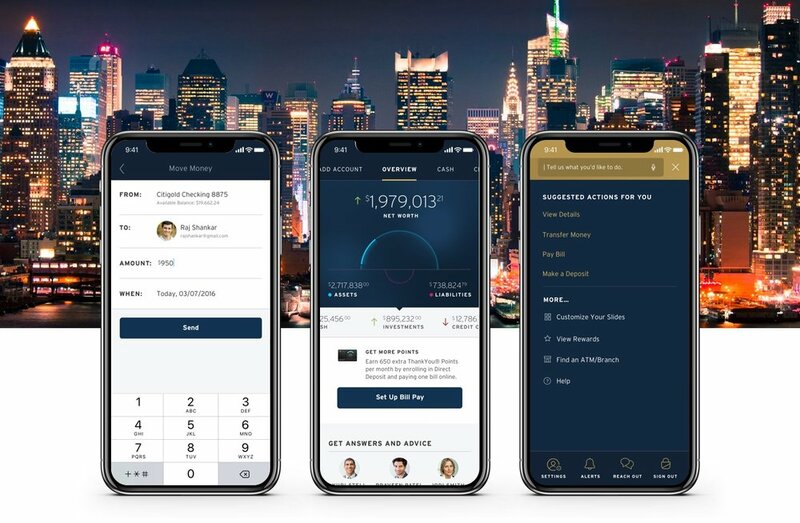 As a small team embedded with the FinTech division, we were tasked with envisioning what the new Citibank digital experience could look like for the affluent Citigold customer. Through rapid design and prototyping, we created an immersive and customizable app experience displaying an overview of all your accounts, including assets, liabilities, mortgages, investments, and other features customers might want to include. The app would provide tailored advice and recommendations, upcoming account activity, Citigold perks, and also included an easy to navigate help section to assist customers.